Soul Serenade: Darlene Love, "Marshmallow World"
I love the annual showing of It’s A Wonderful Life at this time of the year. It’s become a holiday tradition for me, along with other films like A Christmas Carol (the 1951 version please), and more recently, Polar Express. What really gets me into the holiday spirit though is coming up tomorrow night. It’s the most magical four or five minutes of television of the year for me. Tomorrow night Darlene Love makes her annual appearance on Late Night with David Letterman to sing “Christmas (Baby Please Come Home).” It is an annual tradition that began in 1986, and it has become one of the most special moments of any Christmas season. In 1963 Phil Spector was on top of the music world, releasing one stupendous wall of sound hit after another. It was that year that the Jewish producer from the Bronx decided that he would produce a wall of sound Christmas album featuring the roster of singers that he had relied on for his hits. The musicians who backed the singers on the album were the group best known as the Wrecking Crew, featuring Leon Russell on piano, Hal Blaine on drums, and Tommy Tedesco, and Barney Kessel on guitars. Sonny Bono and Jack Nitzsche played percussion, and Nitzche did the arrangements. A Christmas Gift For You was released on November 22, the very day that President Kennedy was assassinated in Dallas. The release date had more than a little bearing on the fact that the album was considered a relative failure in its time, peaking at #13 on Billboard’s Christmas Albums chart that year. The album features classic Christmas songs from the likes of Irving Berlin (“White Christmas”), Gene Autry and Oakley Haldeman (“Here Comes Santa Claus), and Elle Greenwich, Jeff Barry, and Spector himself, the trio who penned the song we’ll hear on Letterman tomorrow night. 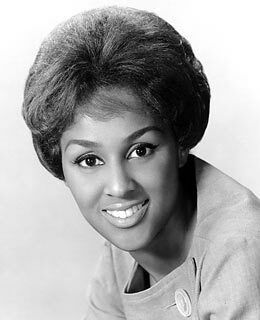 The artists heard on the album included the Ronettes, the Crystals, and of course Darlene Love. “Christmas (Baby Please Come Home)” wasn’t the only song performed by Love on the album. She not only performed under her own name, but as one of the Blue Jeans in Bob B. Soxx & the Blue Jeans. It was under her own name that Love contributed “Marshmallow World” to A Christmas Gift For You. The song was written in 1949 by Carl Sigman and Peter DeRose. It has been recorded many times by artists including Johnny Mathis, Brenda Lee, Dean Martin, and Bing Crosby, who had a Top 30 hit with it in 1951. The album was reissued by Apple Records in 1972 with a different cover — a photo of Spector in a Santa hat and a “Back To Mono” button, and a different title — Phil Spector’s Christmas Album. This time the album did better, reaching #6 on the Christmas Albums chart. The album has been reissued several times since then including a vinyl release by Sundazed in 2009, and as part of a two-disc set from Legacy Recordings last year. The second disc of that set featured non-holiday Spector hits and rarities. One of Spector’s biggest fans is Brian Wilson, who recorded many of the Beach Boys hits using the same musicians as Spector used. Wilson has called A Christmas Gift For You his favorite album of all time. Rolling Stone placed it at #142 in the 500 Greatest Albums of All Time list in 2003. I wish you and your loved ones the happiest of holidays. In order to get you ready for tomorrow night, here is Darlene Love’s 2012 appearance on Letterman.